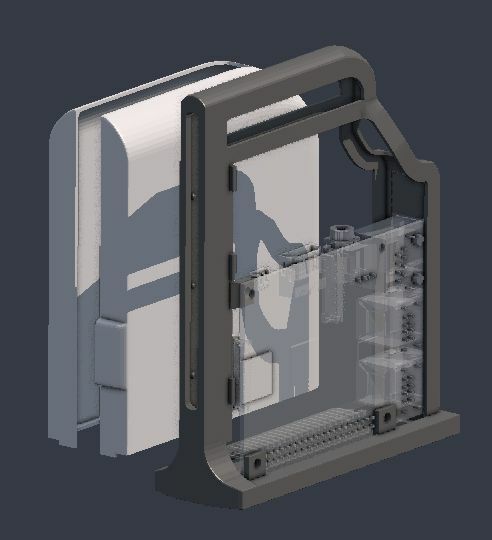 Game art prop design turned computer case via 3d printing. 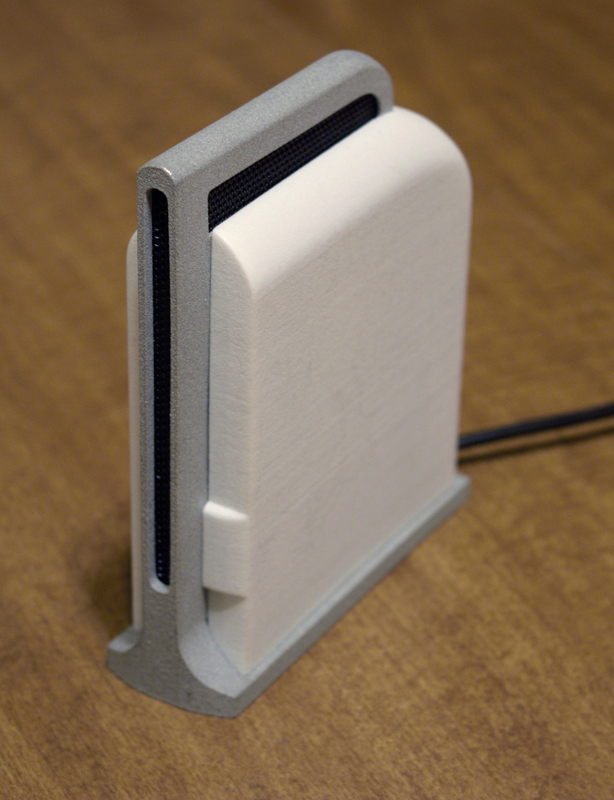 I wanted to flex some 3d-printing muscles while thanking my client for the opportunity to work on such an amazing project: the award-winning adventure game Prominence. The decision was either a shuttle/landing craft concept or this computer case design. 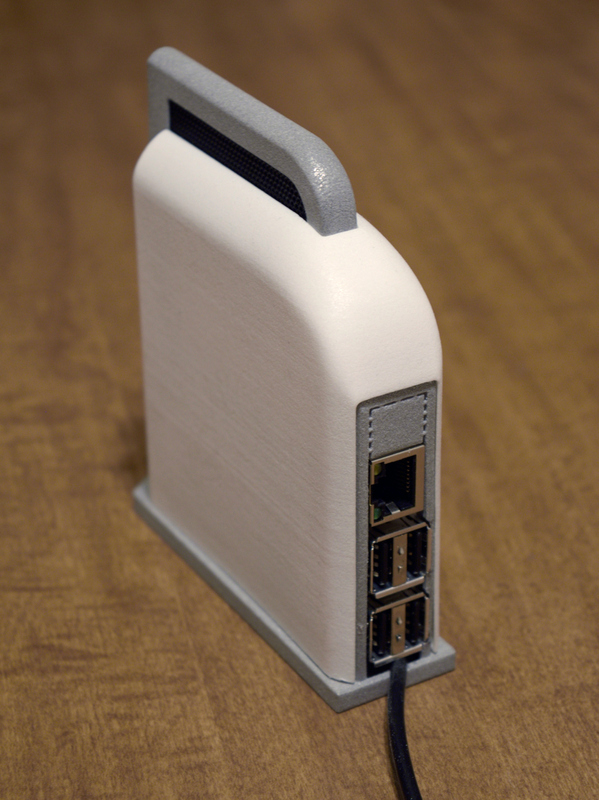 It was a no-brainer when I realized I could easily adjust the design to accommodate a real computer — the Raspberry Pi. When powered on it serves the Prominence Art Department website which I used to document and share progress on the environment and prop designs for the game. 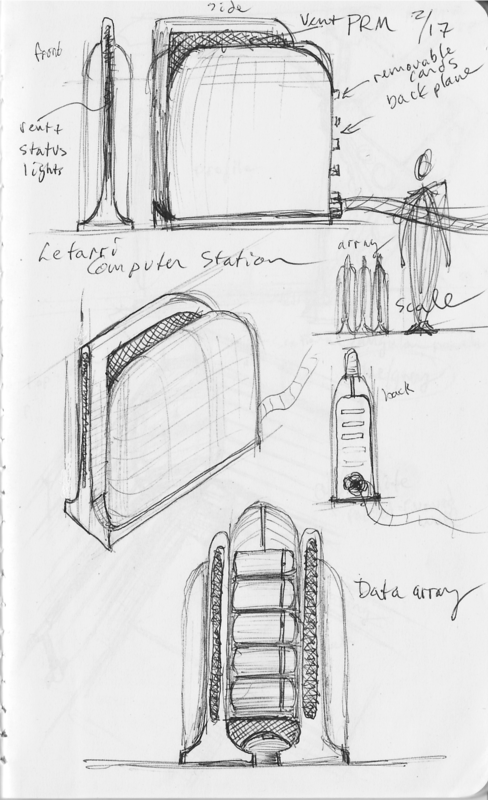 Original "computer station" designs developed for Prominence. 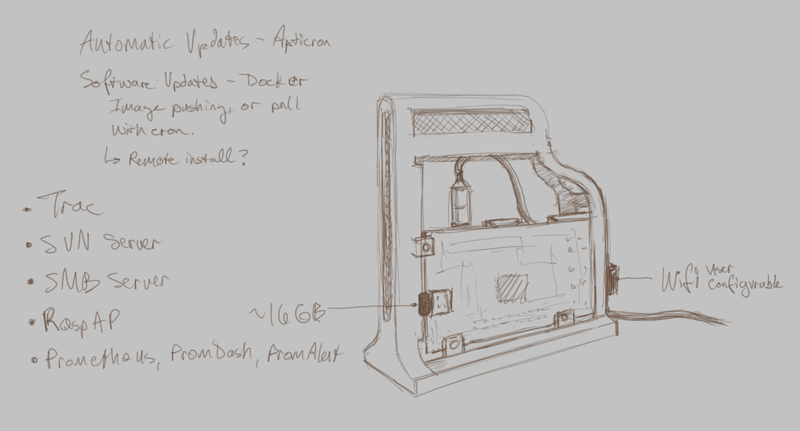 Raspberry Pi case design sketch; software requirements and optional add-ons. 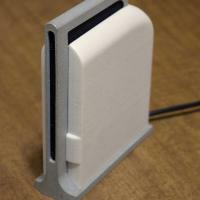 3d model: The cover was modified to provide additional clearance for the sdcard. 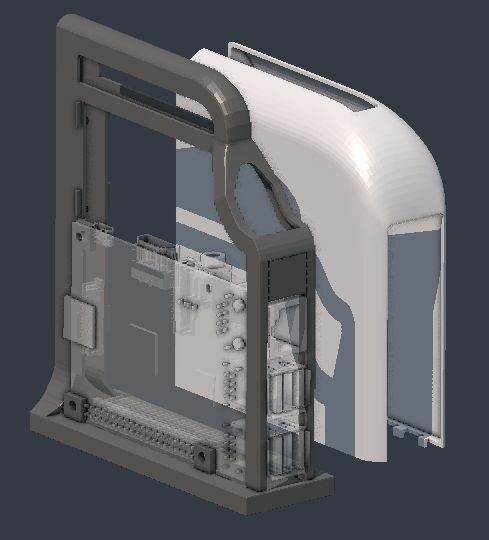 3d model: Raspberry Pi orientation within the frame. Assembled case with grill inserts. Photo courtesy Mike Morrison, Digital Media Workshop, Inc. Assembled case, "backplane" and power cable. Photo courtesy Mike Morrison, Digital Media Workshop, Inc.
Frame is Shapeways “metallic plastic” (alumide). The cover is “strong & flexible” held onto the frame using a few small tabs. Grills are painted steel scavenged from an old speaker pressure-fit to the frame.